AD-22/B-F is a rugged, foldable LPDA antenna covering 225-512 MHz for long range V/UHF communications, monitoring and jamming applications at up to 500 W CW. 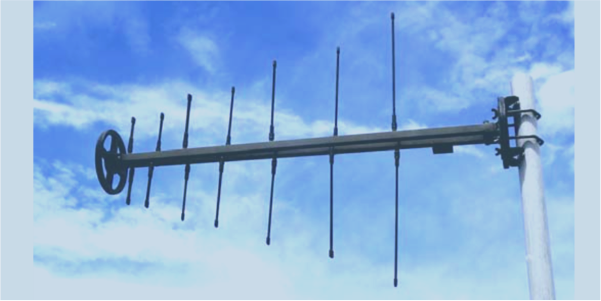 AD-22/B-F is a log periodic antenna covering frequency range of 225 to 512 MHz. The antenna is composed of a irridite coated aluminum boom and 7 bi-directional bendable tape elements wrapped in plastic. The included antenna mount enables installation on masts of diameter between 26 and 60 mm. All metal parts are painted with UV-resistant polyurethane paint. 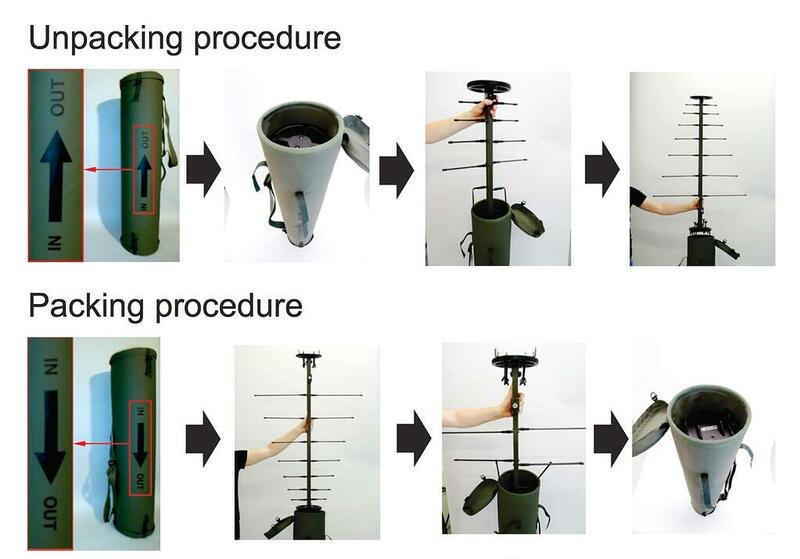 Such fixed and bendable radiating elements together with the unique bag design make the antenna ready for work in seconds.